Dr. Mike Sagman is the creator and managing editor of The Dog Food Advisor. He is also president and CEO of Clicks and Traffic, LLC, an online publishing company founded and incorporated in Virginia in 2008. The reference website is ranked #1 in its niche by Alexa.com, an Amazon company. Mike Sagman is mentioned and frequently quoted in numerous print and online media. The Dog Food Advisor was granted a registered trademark from the United States Patent and Trademark Office in 2015. Before taking up his role as managing editor of The Advisor, Dr. Sagman practiced Restorative and Cosmetic Dentistry in Virginia from October 1975 to June 2014. He is a 1973 graduate of the Medical College of Virginia with a Doctor of Dental Surgery degree. His academic training at Roanoke College included a major in chemistry and a minor in biology. Mike Sagman is a member of the American Dental Association, Virginia Dental Association, the Peninsula Dental Society and the Southeastern Academy of Prosthodontics. Dr. Sagman has received numerous awards for excellence by his profession. He is a Fellow of the American College of Dentists, a Fellow of the International College of Dentists, a Fellow of the Academy of Dentistry International, a Fellow of the Academy of General Dentistry and a Fellow of the Pierre Fauchard Dental Honor Society. Mike Sagman served as a captain with the US Army Dental Corps in Fort Knox, Kentucky. In 1975, he was awarded the Army Commendation Medal for Meritorious Service to his country. Dr. Sagman was recognized as one of “Virginia’s Top Dentists” every year from 2009 through 2014 by Virginia Living magazine. 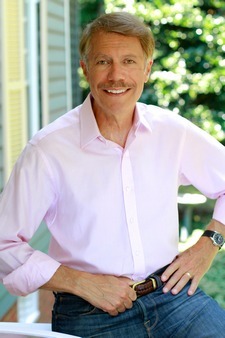 He was also selected by his peers to be honored by Hampton Roads magazine in its list of the area’s “Top Dentists”.